This is a smaller-bodied parlor-size Birdseye maple Signature with lattice bracing ready just in time for La Guitarra California show this weekend. It's an incredible package featuring the Hill double top with European spruce on the outside, western red cedar on the inside. The Birdseye maple is striking and beautiful. This guitar has been fitted with new custom Graf Torres tuners which are exclusively made and unavailable to the market. The sound is powerful, complex and beautiful. Come to Santa Maria and try it. This guitar is not going to be available for long. More photos and specs in the Showroom. We just got 4 prototype 615mm all solid Player [P615] models in...and 2 are gone already. These smaller-bodied shorter string-length guitars are designed for the smaller player, player with smaller hands, or restricted reach. As we demonstrated years ago with the Torres 1856, and recently with the Torres FE-18, a smaller bodied guitar can have a full, robust and complex sound. The P615 once again demonstrates how a smaller instrument can sound great. Available with a western red cedar or European spruce soundboard, these guitars are destined to have a wide following as they become available. We should have stock on these instruments early next year. Please contact us to get on the waiting list, so we can let you know when they arrive. See more photos and specs in our showroom. Kenny will be showing the new lattice-braced Signature, lattice-braced Performer, Torres FE-18 630mm and a host of other models. Terrific line-up of performers at this show. If you're not going, you should consider it. 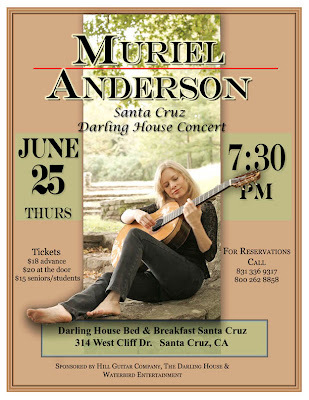 and The First Lady of Guitar! A spectacular duo! 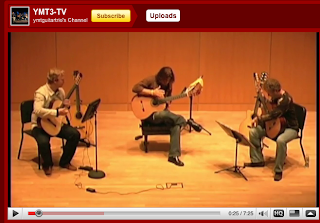 3:10 to 3:45 - Free Event: "Spotlight on Guitar History." 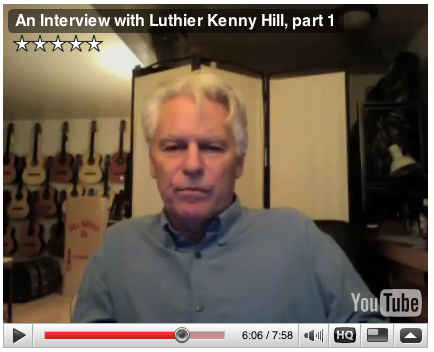 Thomas Heck Interviews Jim Forderer using the instruments from the Forderer Collection of Rare and Historic Guitars. 6:00 -- MANUEL BARRUECO! - The esteemed Maestro in the Central Coast performance! 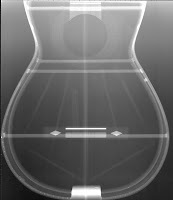 We now offer Accord cases as an option for your guitar. 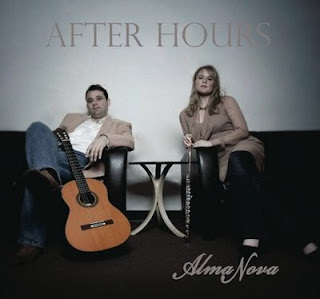 They are very light weight and do a great job protecting your guitar. Accord cases have been a premium choice for musicians all over the world who want to make their life easier. The reason for that is that Accord cases are built of advanced composite materials which guarantee a truly unprecedented weight/strength ratio. Accord uses unique technology to achieve lightness, strength, instrument safety and reduction in size. Furthermore, Accord's production process is based on gradual case reinforcements with Kevlar, depending on Accord's customer's demands. Hand made of finest quality fabrics and fittings. Accord cases are designed to be both beautiful and extremely protective. Within the artisan constructed carbon shell (twice the strength of any conventional material of the same weight), is a dual density foam suspension system to totally isolate the instrument from any impact. The first lattice-braced production Signature has been sold already, but the second one is now available for whoever wants it. See photos in the Showroom. Double top, lattice bracing, ports, elevated fingerboard produces an incredible sounding instrument. If this guitar hasn't sold, it will be available to try at La Guitarra California in Santa Maria, CA in a couple of weeks...or come and visit the shop and try it now. I've just listed a new 640mm Standup model as well. These 2 guitars are fantastic. 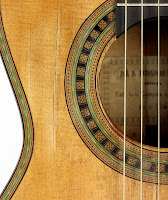 I first made copies of Torres FE 18 (1864) about a year and a half ago, hoping to make a small but concert-quality guitar for gifted kids to play. Frank Longay was pushing me to come up with something for his Suzuki prodigies. I looked through the Torres archives and picked the smallest one I could find. Using the Torres design relieved me of a lot of responsibility in coming up with a body shape etc., and Torres' eye for shape is perfect. I found the dimensions in Romanillos' book, as well as a very tiny photograph. I blew up the photo until it matched the dimensions, cut it out with scissors, made the necessary assembly forms and built the guitars. 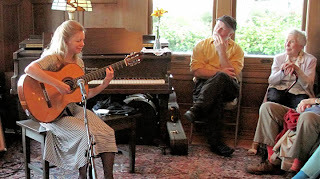 I did four instruments in a variety of string lengths, all Indian rosewood and spruce, and I used the rosette and purfling from my preexisting 1856 Torres, a guitar and model that I have loved since first sight. 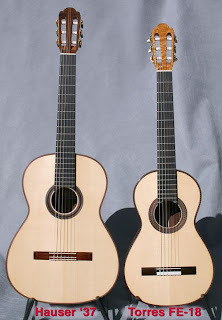 The resulting guitars were very fine musically and esthetically, credit which should go straight to Torres. The body is not much different in size from a Panormo, but the overall sound is very complete, not at all an "antique" sound. The guitars didn't turn out to be ideal proportions for kid students, but more suited for any person who wants a smaller instrument, easy to play and hold, with a full, rich concert sound, to spare. About a year ago James Westbrook, a guitar historian, author and collector from England stopped by the shop for a visit, and he asked me "What's new?" I pointed out the FE 18 copy,"That's new", and he was looking at it saying "Well, maybe, but it's a little small and some details are not quite right." I started to explain to him that yes, it was really correct because I had researched this and that, and James said, "Well, I own the FE 18". So that shut me right up, and I had to rewind the whole conversation and ask HIM to tell me what was up, not the other way around. The long and short of it is, he went home to England and took an exact body tracing, detailed photos, xrays and even took a CAT scan of the guitar, and sent all of this information to me. He even offered to send the original Torres to me to study. This just seemed like a too much liability. Better I work on it here for awhile, then go to England and visit it to get more nuance. I set about getting the rosette and purflings made according to to the photos. I didn't want to do this work myself because it is too time consuming, and I was guessing that I would want to make many of these guitars, so I sent the pictures and measurements to Japan to have them made. This took a while, but when they finally arrived they were excellent, and it was time to proceed. I made another batch of four with the new information I'd gotten from Jimmy, the refined shape and the new decorations, but each guitar with little differences; 640 mm, 630 mm, 650 mm, maple, Indian rosewood, Brazilian rosewood. The Brazilian rosewood one was made with wood salvaged from an 18th or 19th century desk. I also used some Spanish cedar that I had salvaged from a gold rush era central California bar top, worn down where the beer glasses had been slid over the years, complete with bullet holes. I also had a hundred-year-old German spruce top, so with these old, old materials this guitar echoes with ghosts from two centuries. All of these guitars are fantastic. The original Torres was maple, and my maple version is really adorable. They are all adorable. They look great, the Torres body shape is- as expected - perfectly proportioned. The sound that comes out of this guitar is amazing, it completely defies expectations because of it's size. The Brazilian FE 18 sold right away, but I still have the maple and the Indian rosewood instruments. I haven't showed them much yet, but I will soon, and I don't think they will last long. I'll probably make more, sooner or later, when these are gone, but it may take a while. It's hard to imagine getting better results. 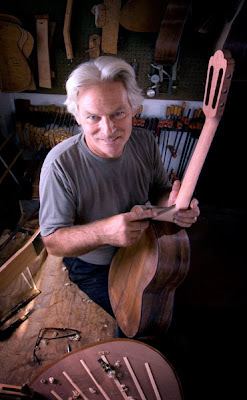 Used most often to finish luthier-made classical and flamenco guitars, French polish is surrounded by more myths and opinions than virtually any other aspect of guitar making. French polish has been a common furniture finish since before the Victorian era and was probably first used on instruments as a faster-drying alternative to the very slow-drying varnishes used on violins. French polish shines with a delicious, organic, old-world elegance, and bonds perfectly to wood. Because it is extremely thin, it allows for the best possible tone, and it can be easily repaired and reconditioned at any time. Let's take a look at what French polish is, as well as its application and care. French polish is simply a shellac finish that is applied by hand—rubbed on with a small cloth pad. Shellac itself is a resin that comes from a secretion of the South Asian lac insect, which feeds on the bark of trees. Color variations in the shellac come from the variety of trees the insects feed on. The secretions are crystallized into flakes, like thin peanut brittle, which are dissolved in alcohol to make liquid shellac. It is mixed in small portions because liquid shellac has a relatively short shelf life (about six months). Most luthiers come up with their own mixing system and thin it according to need and the way that a particular batch of shellac behaves. The main reason luthiers use the French-polish technique is to cover and protect the instrument using the least possible amount of finish. To meet this goal, the shellac is rubbed on by hand one ultrathin layer at a time, using a pad made of a piece of linen wrapped around a wad of cotton or wool. Although it generally requires the application of several hundred layers, French polish is still thinner than most other finishing options. The process begins with the application of a thin wash coat of shellac to the whole instrument (using a pad). Then the chosen filler is applied. Porous woods, such as rosewood, need to have their pores filled, which is commonly done with commercial paste fillers, epoxy, or the old-world solution of pumice. Pumice may seem an unlikely filler since it is a powdered stone that looks totally white, but when suspended in shellac it becomes translucent and absorbs the color of the wood as it's rubbed into the pores. Pumice is like lightweight powdered glass and has a hardening effect on the surface of the wood. This effect is partly responsible for the clarity of sound a French polish gives to an instrument—pumice isn't just pore filler, but becomes part of the surface of the wood, which affects the instrument's resonance. Pumice or other fillers are never used on soundboard woods like spruce and cedar, and other less-porous body woods such as maple or cypress give a beautiful finished surface without the use of fillers. 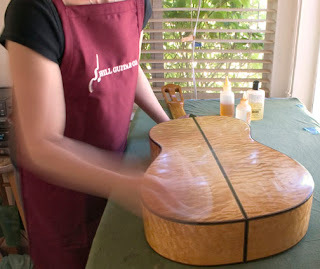 Once the pores are filled, liquid shellac is applied with the pad in small circular or figure-eight motions; in this way, the luthier continuously adds, spreads, and smooths a tiny amount of shellac resin dissolved in the alcohol. Sometimes, but not always, mineral, linseed, or walnut oil is used to lubricate the pad and keep it from sticking and marking the finish. As the alcohol evaporates, the resins are left behind. This process continues until hundreds, or even thousands, of microscopically thin coats are in place and the desired finish achieved. The work is done in sessions of about a half hour, maybe three sessions in a day, then repeated in a day or two, perhaps taking three days total. It is important to learn when to work and when to rest, to find the optimum balance between building coats and drying. It's hypnotic work and, with the smell of the alcohol, quite pleasant. Once cured, it is possible to sand and buff French polish as you would lacquer, but it must be done very carefully, because shellac is much softer than lacquer. There are many debates among luthiers about which oil, alcohol, shellac, filler, or kind of pad to use—it's almost scary how strong opinions can be. There is also a wide range of thought on how long it takes to do the job: a day, five days, a month, a year. In my shop, the finish is applied in about three days and cured for two to four weeks. (The longer the cure the better, but we're anxious to play the instrument, not just look at it.) In a pinch, I've applied a complete French polish finish in one day, let it dry another day, strung the guitar up, and hopped on a plane without a problem. I don't recommend it, but it can be done. French polish does have some liabilities. It scratches easily, especially on soft woods, such as spruce or cedar. It is also susceptible to heat, which can soften it. 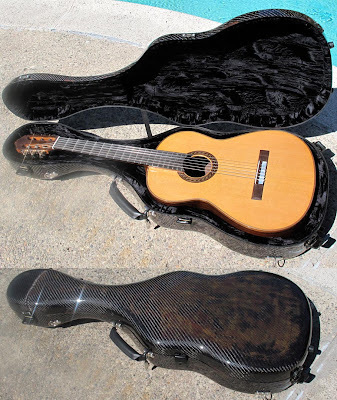 A guitar left in a car above 95 degrees Fahrenheit will probably receive an imprint from the case or, more disturbing, may stick to the case lining. Moisture can cloud the finish, and the body chemistry of some players can cause problems, crazing the contact surface over time. For someone who has experience using French polish, repairing the finish is an easy job, but using a method appropriate for other finishes can be a disaster. A poorly informed repair tech might use some finish other than shellac to do touch-up, might sand too aggressively, or might not have the skill with the pad and the shellac to blend, fill, and smooth the finish. At the same time, someone with the right skills and experience can often renew a French polish in minutes. To take care of French polish, lightly rub with a soft cloth to clean it, and avoid the common enemies of heat, moisture, and fingernails. Also remember that small flaws and damage can be attended to any time, so don't be too worried when something does happen—it can be dealt with later. As guitar makers continue to look beyond their own niche for ideas, French polish is increasingly showing up in place of other production finishes. 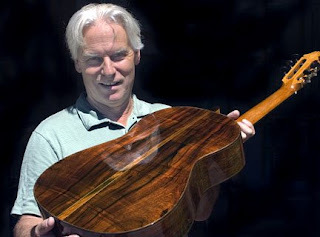 Steel-string luthiers such as Michael Bashkin are offering French polish as a finishing choice, and even the Santa Cruz Guitar Co. is offering a French-polished soundboard option on its Tony Rice model. It is fairly common to use shellac on the soundboard only, but using it on the entire guitar is the norm for classical guitar makers. Me, I just love the stuff. I love how it looks, how it feels, how it smells, how it sounds. My company has used it on hundreds, maybe thousands, of guitars, and I don't even own a spray gun anymore. I expect that in the future this small renaissance will grow, with more luthiers and players becoming comfortable with the small miracle of French polish. We've tried to find the best way of consolidating all this information. We've laid it out on the web with photos and all and also found acrobat might be a nice way to do it. Please check this out and let us know what you think. 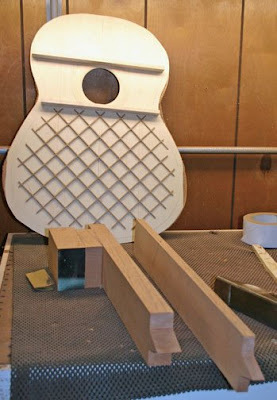 Now this first lattice braced double top guitar has been completed, and it really is quite interesting. I've changed a lot of things all at once, expecting a sort of monster truck muscular guitar, and to some extent that's what I got, but not completely. This was a very opportune debut, because on the same day I was able to string up a standard Signature, with the same woods and all of the more familiar design elements, so I got a perfect side by side comparison. It was an ideal situation. The new "standard" Signature was a really good cedar/Indian one, as good as it gets. It's an exciting guitar to play, and I still like it better than the newer experiment, but it's no slam dunk. The sound of the lattice is interesting. It's explosive, quite immediate. At first it seemed limited in its color range, but after a few days of playing it began to really open up. The bass is spectacular, and the highs are filling in quite nicely. I showed the guitar to Ricardo Cobo, and it reminded us both of the Humphrey he's been playing for several years. That's not necessarily what I was going for, but it's a curious observation. Comparing it to my "standard" Signature, I'd have to say that the original recipe still is more sensual, a complex and wet sound that's pretty darn wonderful, while the lattice top is a more masculine and muscular sound. A lot of these subtleties start to blend as distance increases, so it raises the question of which is better for big hall concert playing and which is better for personal and small room playing. Actually, either one will do brilliantly, but I am always aware of the variety of people and players that I am building guitars for, and that everybody doesn't need or want the same thing. It's an interesting mix. 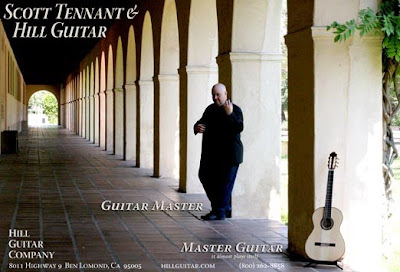 Scott Tennant also played both of the two new guitars, and he actually selected the cedar "standard" Signature for himself, but he sounded real good on the lattice too. Evan Hirshelman spent a bunch of time playing the lattice, and seemed to really bond with it, lusting after the bigger basses. 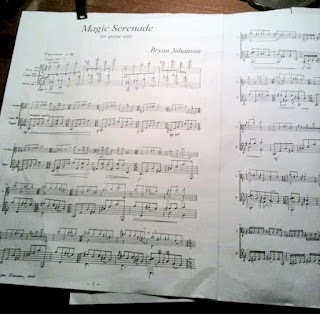 Evan is a great player, his compositions are amazing. He's playing a spruce Signature now, and we'll have to see what happens later. So over the last week I've made another of the bigger Signatures, (I don't really know what to call it yet - monster truck doesn't quite cut it), but this time with my regular fan bracing instead of lattice. This will give me the chance for another side by side comparison. Tomorrow I'm going to China for ten days, and when I get back the varnish should be about done, so I'll be able to string the new guitar up and learn some more by playing it. I'm really anxious to hear it. Naturally I'm still puzzling over what to do with all of this. I have imagined in my head a melding of lattice and fan bracing, hoping once again to lift the best qualities from both worlds. I don't know if this push implies a psychological inability to commit, or just my gluttonous and insatiable nature, wanting it all, in every way. To realize this bracing fantasy will require me to make a lot more sawdust, and probably have some strange results along the way. But regardless of the Freudian implications, I won't know if I don't try. I expect I won't be able to get to this next phase until mid April, but If I get to steal some time some weekend or some sleepless night, I can't wait to try it. 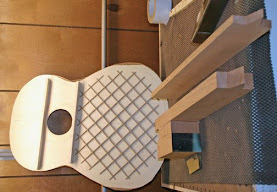 I wrote the first installment of this blog while I was working on my newer model of Signature guitar. At the time I was also preparing for the NAMM show, and managed to get the guitar assembled just before the show, and with the help of my wonderful staff the guitar was French polished while I was gone. The timing was good for the guitar. Then when I got back from the show we had this ridiculous guitar theft by fraud, which had the understandable effect of breaking my stride on this little blog series, but I am happy to get back to it now. The ramifications of the theft are still with us, but "what-ever", I'm much more interested in getting back to the real work of guitar. Larry has shot a lot of working pictures and we've culled out just a few. This is by no means the complete process, since a lot of the work was done early or late in the day, when there was no camera around. Overall this process is going to take a few guitars to work out, so perhaps with more pictures over time we'll get a more complete sequence. For guitar makers this will be mostly old hat, and for non-guitars makers it might be undecipherable or boring, but for me it's fun to think about. As I've said, I have to work in the breaks between other responsibilities, but that's the way it goes. I'm at home with this rhythm and I'm grateful for the opportunities. What I'm trying to reflect here is more about the development process, both the thought processes and the blind alleys. I'm not much of a planner, but rather I let the material and the results pull me forward. Then, afterward, I try to come up with an explanation. I don't know if this is right or wrong, but It's beginning to look like it's not going to change any time soon. The lattice braced double top soundboard was already made before we started shooting pictures, so I'll have to show that process some other time. I'm still thinking about how to make the lattice work better, make a more complete and delicious sound. I have some ideas, but it's going to take a few attempts to work it out. Just when you think you've seen it all, a quick slap in the face comes as a reminder. Last week a customer contacted us out of the blue looking for a Signature Guitar for his son. He seemed informed, convince and prepared, so we arranged to next-day ship a beautiful Brazilian/cedar Stand Up Signature to his home in Long Beach, COD cash/certified funds. This is a pretty common way to sell a guitar, and we have done this many times over the years. Within two days we got the certified check and about the same time he called us to say his son loved the guitar, couldn't put it down. He loved the guitar too and did we have another? 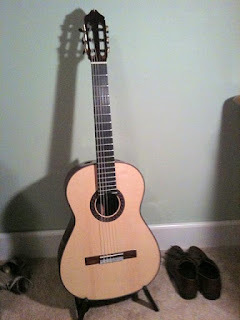 I did have one Brazilian spruce Stand Up remaining, the last one, and he checked out the pictures on line, and we negotiated for him to buy this second guitar. He worked me for a discount, and in view of the situation I agreed, and we sent the second guitar, same deal. Larry and I debated over the security issue, and I decided that in view of his knowledgeability, his seeming genuine appreciation of the first instrument, and even the fact that he asked for a discount (who wouldn't) we should go ahead and sell him the second (and last) guitar. After all, tax time is coming. We concluded that the only real risk would be that the certified checks would be counterfeit. I'm sure you have already guessed the ending. The certified checks were counterfeit! Jeesh! I've always operated on the hypothesis that the traumas that life serves up are never what you expect, that they come from some place you're not looking. Well, this time I was wrong. The peculiar part of this to me is that this is a lot of trouble just to get a couple of guitars. Forgery is a serious crime, FBI territory, and there are many other scams that could net such a conspirator a much better cash position. I suppose he can put these on ebay, but fencing classical guitars must pay about one penny on the dollar. The only way to get the real value out of the instruments is to play them, and it seems that that's what he and "his son" were doing, all the while scheming a significant five-figure rip off. And, he even talked me into a discount! Why? Nothing like this has happened to me before. My dear wife Roberta, God bless her, has often asserted that I am naive about security, and at this point who could argue? Maybe this is the most troubling part of the story. I like being naive, it gives me time to focus on other things, like guitars, music, family, the garden. In retrospect I see a number of warning signs, and I chose to over ride them. To be sucked into a new class of worry offends me. Maybe it's a sign of the times, but I still assert my right to be part of the "up", not part of the "down". This guy could be reading this blog right now. What a turkey. I've tried to imagine what it would take for me myself to pull a stunt like that, but I just can't. I've got a lot of faults, God knows, but I just can't conceive of getting any joy or satisfaction out such a scam. I enjoy a good heist movie as much as the next guy, but this one is pretty tawdry. He should just send the guitars back and walk away. At this point, if I get them back I think I'll give them away to some student, someone who deserves them. It would even be better to go on a pilgrimage and throw them into the volcano. Then, maybe the gods of doom would back off for another day. The two guitars are Hill Signature Stand Up model guitars, #2687 and #2684. Both are Brazilian rosewood, one with spruce top, one with cedar.The customer ordered them by phone and paid COD with counterfeit certified checks seemingly from Bank of America. The checks were very convincing to me, but the bank was not convinced. Of course the phone numbers don't work. Of course, avoid this person. If you hear anything about the guitars or Mr. Silk, please contact us, or contact local law enforcement. If someone offers the guitars for sale cheap, buy them and I'll buy them back. Or just buy em and enjoy em, but please let me know. Postscript, 3 days later: A few things. First, I talked with the REAL Jonathan Silk, and he is a very nice guy now living in Netherlands. He was a Professor at UCLA, but is now working near the Hague. He had nothing to do with this. I don't know our con man's real name,but I'm guessing this isn't it. Second, I've contacted several law enforcement agencies, and even a private detective at $90.00 an hour, and none of them have done anything at all. It seems we're on our own out there. And third, Traveler's Insurance, my soon to be EX insurance company, says they sympathize but there is a tiny exclusion carefully written into my policy, so coverage is denied. They are very good at writing exclusions it seems. They are also good at taking money year after year, tens of thousands of dollars, and providing no service. This is at least as frustrating as the original rip off, in fact in a way it feels worse. Nevertheless, the guitar community has been amazing, and indeed reminds me why I'm in it. It is magnificent to hear from friends and strangers alike, and feel how close knit we are in fact. So good, heart is not lost. Today I'm attempting to build a new model of Signature guitar. This may be a crazy idea, because my current design is only 2 or 3 years old, and it is doing very well. It sounds and feels great and many fine players are seeking it out. It even keeps getting better. So why mess with it? I guess I'm just going for more extreme. My current Signature Model guitar has a beautiful sound, it's strong and well balanced, and has a rich tone palette, easy to control, easy to explore. At least that's how I feel about it - I absolutely love it. What I'm trying to build now is something for the person who simply wants the loudest guitar on the block, who chooses power over anything else, the Hummer or dragster of classical guitars. I'm going to try to deliver that power, but at the same time try to coax some beauty and sweetness out of it too. I don't really know if this is possible, but I'm going to try. I'm throwing in the kitchen sink. I'm ignoring the usual "scientific" admonition to change one thing at a time, so one can measure or evaluate the effect of each change. Instead I'm making many changes at once, trusting the seat of my pants, or my chubby Buddha belly to whisper to me what's what. Anyway, I'm not patient enough to go through that kind of method. At least not today. It's wacky also because I'm getting ready for the NAMM show next week, so I'm having to squeeze this work out of stolen moments. Too much to do, but still, it's exciting. One of the main elements I'm introducing is lattice bracing. I've never been fond of the sound of lattice braced guitars. Although it is capable of producing tremendous volume, and often super resonant bass, I usually find the sound two dimensional, quick to fatigue and unappealing. I have heard some exceptions. I'm not using the usual materials of balsa and graphite for the lattice, but rather red cedar, in hopes of squeezing more warmth from the bracing. I am going to attempt to blog a diary of this process. I've already begun the work, by replacing the tops of some existing instruments, working out some of the preferences of the bracing, listening to the results. But now I'm starting an instrument from scratch. Making a new model is always a big undertaking, building new molds and jigs, making a lot of mistakes and finer and finer adjustments. It will inevitably take several instruments to "get it right", or at least stable. The real story here is that I may well fail at it. I could produce something horrible, or I might make something that appeals to some constituency, but not to me. Then what? I might confuse my already satisfied customers. If your interested, follow along. With the help of my associate Larry Darnell I'll try to get pictures and some narrative as this process unfolds. I've developed new models like this many times before, but I've never documented the process, nor have I gone public with it. There will be a lot of more-or-less standard guitar making techniques shown, although by no means comprehensive, and many techniques that are unique to my method, and others that are different than I've ever done. I'll have to work fast, in spurts, and write quickly to make this happen, so please forgive sloppy writing and poor housekeeping. At least it's sincere. So keep in touch, and wish me luck!